Martin Michlmayr is a Debian developer since 2000 and I share quite a few things with him, starting with his age and involvement in the quality assurance team. He managed to be elected Debian Project Leader in 2003 and 2004. He’s no longer as active as he used to be but his input is always very valuable and he continues to do very interesting things in particular concerning the support of NAS devices. Read on for the details. Martin: I’m Martin Michlmayr. I’m 32, originally from Austria, and currently living in the UK. I’ve contributed to various free software projects over the years but Debian is without doubt the one I’m most passionate about. I joined Debian in 2000 when I was a student. I worked on Debian more or less full time for a few years while I was pretending to study. Later I started a PhD to do research about quality and management aspects of volunteer free software projects. I investigated the release process in several free software projects, in particular looking at time-based releases. After finishing my PhD in 2007, I joined Hewlett-Packard. I’m part of HP’s Open Source Program Office and work on various free software and open source activities, both internally and within the community. 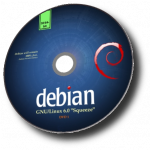 Martin: I first used Debian in the days of 0.93R6, some time around the end of 1995. The 0.93R6 release was still based on a.out but I needed an ELF-based system for some application, so I moved to Slackware. I then quickly moved to Red Hat Linux where I stayed for several years. I rediscovered Debian in 2000 and quickly decided to join the project. 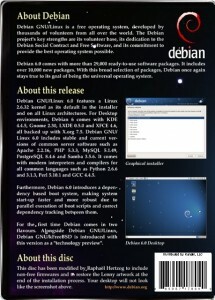 I cannot recall how I rediscovered Debian but when I did, it was clear to me that Debian was the ideal project for me: I could identify with its philosophy, I liked the volunteer nature of the project, and I found the size and diversity of Debian interesting since a large project offers a lot of different challenges and opportunities. I remember how many new things there were to learn and back then the documentation and other resources for new contributors were nowhere as good as they are today. 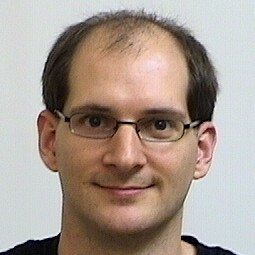 My application manager, Julian Gilbey, was a great help… he was incredibly friendly and passionate about Debian. I also remember meeting up with Peter Palfrader (weasel) for key signing when we were both in the New Maintainer queue. I was incredibly lucky with my New Maintainer process and soon became an official Debian Developer. Because there was a shortage of application managers, my first major contribution in Debian was to become an application manager myself and help other people join the project. Debian is a large project with a long history and a rich culture, so new contributors should expect that it will take some time to become familiar with everything. Fortunately, there are many resources, such as documentation and the debian-mentors list, for new contributors. Another great way to become familiar with the way things are done in Debian is to subscribe to various Debian mailing lists and ideally to read some mailing list archives. It’s also a great idea to attend the Debian Conference or other conferences since meeting people in real life is a great way to integrate. I remember attending Debian Conference 1 in Bordeaux where I gave my first public talk. Finally, new contributors should find an area where they can make a unique contribution. Most people in Debian maintain packages but there are so many other ways to contribute. For example, most of my contributions were not technical but were about coordination and other organizational activities. Raphael: What’s your biggest achievement within Debian? New Maintainer: I helped a lot of people join Debian. It’s great to help someone join the project and then see how they contribute. Of course, some people join Debian and then quickly become inactive or retire… you never know in advance how it will work out. But I had the pleasure to help some truly outstanding contributors to join Debian. Quality Assurance: I helped improve QA processes within Debian. In particular, I realized a few years ago that a lot of packages had maintainers who were inactive and that nobody did anything about it. I started to write to those maintainers to see what could be done. It’s hard because you don’t know the circumstance of someone… they may be inactive because of an illness or for other good reasons… so you have to be friendly, but yet persistent. Fortunately, most maintainers I contacted were truly inactive and so they couldn’t complain when I took their packages away. DPL: I acted as the Debian Project Leader for two years. I’m particularly proud of this because Debian is a great project and it was an honour to represent it. I performed important organizational and coordination tasks. I also traveled to a lot of conferences and had the pleasure to meet many Debian Developers as well as users of Debian. It’s very motivating to meet users and to hear how they use Debian and how we can further improve it. Debian on NAS: Debian is without the doubt the Linux distro with the best support for NAS (Network Attached Storage) devices. I was always impressed by what the OpenWRT folks have done to support wireless routers and wanted to do something similar for Debian. Unfortunately, wireless routers just don’t have enough storage for a full distro. But then NAS devices came along and they obviously have enough space since they are meant for storage. Raphael: Speaking about NAS devices: what exactly are you doing on this topic and how can people help? Martin: There are plenty of instructions on the Internet to install Linux distributions on NAS or various embedded devices by connecting a serial console and then typing in hundreds of commands. What I found is that such instructions significantly limit the user base because they are way too complicated for most users. There are just too many steps that can go wrong. So instead, in Debian, we provide a solution that just works: usually, you download a firmware image for your NAS device from Debian and when you upgrade you get the Debian installer. You connect to the installer via SSH and perform a normal installation. The installer knows about the device and will prepare everything for you automatically… for example, it knows if the device has requirements for the partition layout and it will install the kernel where the device expects to find it; unfortunately, NAS devices are not like PCs, so the requirements are different for almost every device and therefore you need special code to support a new device. Finally, there are detailed installation guides and we provide help on our mailing lists. There are a number of technical areas for improvement. The installation could be made even easier, and it would be nice to support new platforms and devices. A bigger problem is that while we’ve implemented a great solution for NAS devices, we haven’t really extended this work to support other classes of devices. For example, tablets and mobile phones are getting incredibly popular and we don’t have a compelling solution for such devices, mostly because of the lack of an appropriate GUI. Raphael: What are your plans for Debian Wheezy? Martin: I’ve recently been asked by Stefano Zacchiroli, our current Debian Project Leader, to coordinate the care-taking of Debian finances. Debian, as a volunteer project, relies on donations and in-kind gifts (e.g. hardware) to maintain its infrastructure and to support various development efforts, such as funding sprints and other developer gatherings. Debian’s money and other assets are held by affiliate organizations around the world. My responsibility will be to keep track of money and other assets (e.g. hardware and trademarks), work with the DPL to establish procedures related to the use of Debian’s assets, and make sure that the procedures are followed. Finally, we want to publish public statements so our donors know how we use their donations to further improve Debian. I just started working on this and this will be my main activity in Debian in the coming months. Raphael: Speaking of money, I plan to run a fundraising to get the Debian book I wrote with Roland Mas translated (cf. https://debian-handbook.info). Is this something Debian should support? Martin: First of all, I should make it clear that I don’t decide how Debian spends its money. This is up to the DPL to decide together with the project at a whole. I’ll just make sure that procedures are followed and expenses tracked and reported properly. Having said that, in my opinion, it’s unlikely that Debian as a project will fund this effort. It would be inconsistent with the position of the project not to fund work directly (only some related expenses, such as travel costs to allow Debian teams to organize face-to-face meetings). Whether Debian should support the fundraising effort by helping to promote it is another question and that’s probably not as clear cut. It looks like a worthwhile effort, but on the other hand it would be unfair for authors of other Debian books for Debian to put its weight behind one… and there are many other efforts that are worth promoting… if you promote one, where do you stop? So while it sounds worthwhile, it’s probably better for Debian to stay out of it. But somehow related to this, I sometimes worry about the fact that there are so few paid opportunities around Debian. If you contribute to the Linux kernel for a while, you have an excellent chance to get hired by someone and to work on the kernel full time. The kernel may be an extreme example but there are a lot of projects that have more paid opportunities than Debian, e.g. Mono, GNOME, OpenOffice/LibreOffice and KDE. Obviously, there are some Debian Developers who can spend some time on Debian as part of their job. I know that some Canonical employees contribute to Debian, that support companies like credativ improve Debian as part of their work, and that system administrators fix bugs or package new software as they deploy Debian. But I think this is a minority of contributors and even they don’t work full time on Debian. Instead what I see is that a lot of people leave university, get a job and then no longer have time for Debian… or people start a family and no longer have time. I can take myself as an example since I don’t have nearly as much time as I did in the past when I was a student. I guess there are different ways to deal with this problem… one would be to create more paid opportunities around Debian outside the project, another one might be to make it easier for new volunteers to join the project. I don’t have the answers to these questions… but it’s something I wonder about, and I also wonder whether pure volunteer projects can still keep up with projects with a lot of full time contributors. Raphael: What motivates you to continue to contribute year after year? Martin: Debian is a great project with a great mission, goals and people. 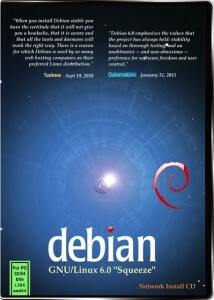 I contribute to make Debian a better solution and to promote the free software philosophy. Finally, the community around Debian provides a lot of motivation. It’s amazing how much I’ve learned about other cultures because of my involvement in Debian and how many friends I’ve made over the years all around the world. Raphael: Do you have wishes for Debian Wheezy? Martin: Not really. I’m pretty happy with the way things are going at the moment. We have made a lot of organizational changes in the last few years from which the project has greatly benefited. I’m particularly pleased about the plans to adopt a time-based freeze. Martin: There are many people I admire greatly. I’d like to mention Joey Hess because he’s a great example to follow. He doesn’t get involved in politics, is easy to work with and does great technical work. In fact, he has made not one but several contributions that have completely changed Debian (debconf, debhelper, and debian-installer). Furthermore, Debian has a lot of contributors who have done great work over the years but who are not very vocal about it. People like Colin Watson or Peter Palfrader. Debian has many unique contributors and the list of people I admire is much longer than the few people I just mentioned. Thank you to Martin for the time spent answering my questions. I hope you enjoyed reading his answers as I did. He raised some interesting questions. Subscribe to my newsletter to get my monthly summary of the Debian/Ubuntu news and to not miss further interviews. You can also follow along on Identi.ca, Twitter and Facebook. After a private launch (with discounted prices) for my newsletter subscribers, it’s now time to open my Debian DVD shop to the public. Click here to learn more about my DVD offer. PS: Click here and join my newsletter to not miss other opportunities. Inform your users and reach out to free software users using Flattr by registering your project in Flattr FOSS. And I’m not alone, Joey Hess made 25 EUR in one week only. And right now only 30K people are using Flattr. I expect this number to increase significantly now that invites are no longer required to open a Flattr account (see the announce on Flattr’s blog). It’s time to spread the word about Flattr FOSS! 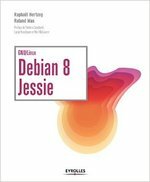 Do You Want a Free Debian Book? Read on. While I have made good progress on many of my Debian goals for this year, it’s not the case for the goal number #1: translating my Debian book into English. The picture on the left is the cover of the current French version based on Debian Lenny (450 pages). But the translation would be based on the next edition that we’re currently preparing and it’s based on Debian Squeeze of course! We have already translated the table of contents so that you can get an idea of what’s in the book. Note that many parts of the book apply to Ubuntu as well. It’s quite difficult for Roland and me to allocate several months of our life to such a huge task without any income in that period and without knowing if our book will sell enough to cover for the time invested. For those reasons, we’re considering using a service like kickstarter.com or ulule.com or yooook.net to get this project funded. If you don’t know those services, they allow you to present your project and to collect pledges so that you can safely complete your project. The money pledged is distributed only if the total amount pledged exceeds the minimal funding level (set by the project creator). Furthermore you can select nice rewards depending on the amount of money pledged. To make things even more exciting we are ready to publish the book under a DFSG-compatible license at the sole condition that we reach 25 000€ of donations. That might look like a lot but in fact it’s only 5€ donated by 5000 persons and then everybody benefits! And for the authors, you have to remove ~10% of fees taken by the funding service (including card processing fees), 16.4% VAT, 9% social taxes and if you consider that the project represents a minimum of 6 months of work, that ends up to at most 2850 €/month. We believe this to be reasonable. The next step for us is to pick the service to use and setup the fundraising. We need your input. Please answer a few questions by filling this form. A few considerations about the various services: Kickstarter.com is a great service but it’s restricted to US-residents so it’s complicated for us to use that service since we’re French (and live in France) and the supporters need to have an Amazon (payments) account. Ulule.com is open to anyone for project creation but uses a paypal API to deal with the pledge mechanism and thus imposes that all supporters have a paypal account. Is that requirement likely to scare you away? Yooook.net is specialized in liberation fundraising but the interface is not very polished, they don’t offer (many) social features nor do they give a public listing of the projects hosted. The choice is difficult and thus we’re seeking your feedback to make the right one, take a few minutes and answer our questions: click here to go to the form. Thank you for your help and please spread the word so that we get enough answers to have meaningful results. Update: it has been brought to my attention that kickstarter requires an Amazon (payments) account. I fixed my article and the form to document this. I have also been asked what license we’re going to use. It’s likely to be dual-licensed GPL2+ / CC-BY-SA 3.0. 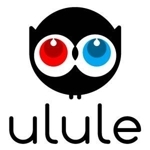 Update: The crowfunding campaign is now running on Ulule. Click here to see its project page.